I've been doing some shopping on Beautylish this year after having only placed 3-4 orders in the past. For me, shopping with Beautylish has always been an amazing experience -- they really are an amazing company when it comes to how fast, efficient and wonderfully they ship products out. And after hearing so much talk about their flexible payments, I decided it was time to order some of the items that have been on my wishlist for a while. If you have never used the Beautylish Flexible Payment plan, I have shared how it works below. While I do try to purchase as much makeup as I can with a coupon or discount, there are those brands that never really go on sale, why not at least take advantage of the flexible payments. I've done this with QVC and HSN for years now and love the versatility of it plus how it allows me to stretch my money. Flexible payments are available on all orders of $50 of more in select countries. There is no credit check, you just need a credit or debit card. For orders over $50 - $99, your total will be split into two payments. Orders of $100 or more, will be split into three monthly payments. Payments are automatically taken out of your payment method so you don't have to worry about remembering dates or totals. Just make sure you have enough money to cover the monthly payment! Viseart Petit PRO 3, which had just launched that day and looked absolutely beautiful. As described by Viseart, this palette was inspired by French gardens and the color scheme is to die for, they totally nailed the inspiration. As a cool-toned eyeshadow lover, I was beyond excited to have this little palette in my hands. The Viseart Petit Palettes are $30, which is the most affordable way to go when it comes to this brand. I have not tried this yet but will update this post once I do. Charlotte Tilbury Hollywood Flawless Filter: from the minute I saw this teased on IG, I knew I had to have it. I was in fact ready to order it the very day it launched, but then began to see so many conflicting reviews. Was it a foundation, a filter, a highlighter or a primer? I feel like this is such a different type of product that many people had no idea what to do with it...so as the first reviews started coming in, I decided to wait for my people to review it. Sure enough a few months later, the people that I trust started to confirm that the Charlotte Tilbury Hollywood Flawless Filter, was indeed, amazing. I then knew it was time to get my hands on it. Just in case you've not figure it out by now, I am in love with this product. The Hollywood Flawless Filter is as close to having "Skin of the Greek Gods" as you can get. I have used this product in a variety of ways: under foundation as a luminous primer, under foundations as a highlighter and over foundation as a highlight too. Either one of these ways has worked beautifully for me. The only way that I did not love the Charlotte Tilbury Hollywood Flawless Filter was as a base all on its own. This really is an incredibly luminous product and wearing it alone over my very moisturizing skincare made me look and feel like the Tin Man. But other than that I highly suggest giving this product a go if you're looking for a lit-from-within, incredibly ethereal glow that consists of zero powder or shimmer. 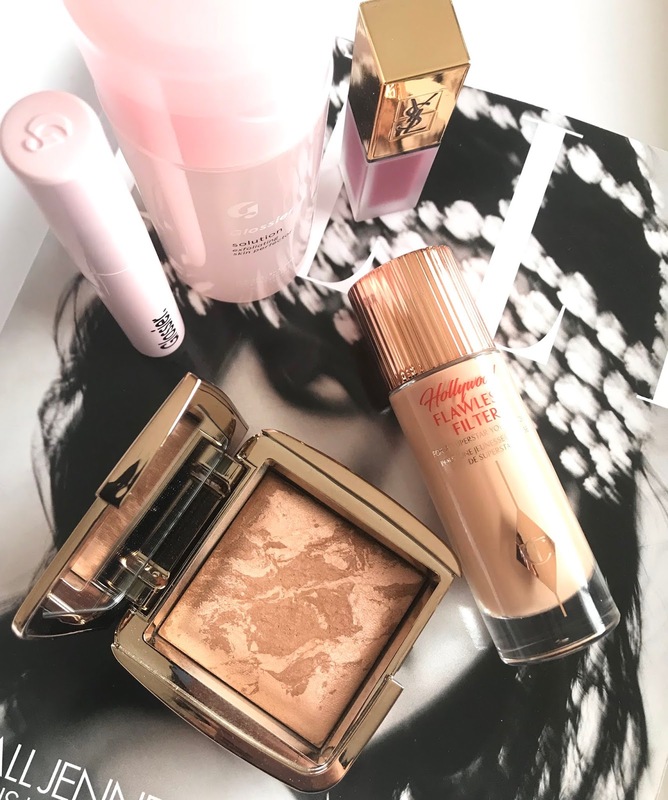 The Hourglass Ambient Lighting Bronzer is one of those magical products that I would always go drool over but could never quite get myself to buy. Hourglass is a brand that I want so bad to try so much of, but that is so pricey, I can't! It seems incongruous to pay $50 for a single bronzer, even though now that I think about it, I have paid more for a NARS one but that was a limited edition, super-sized pan of product. 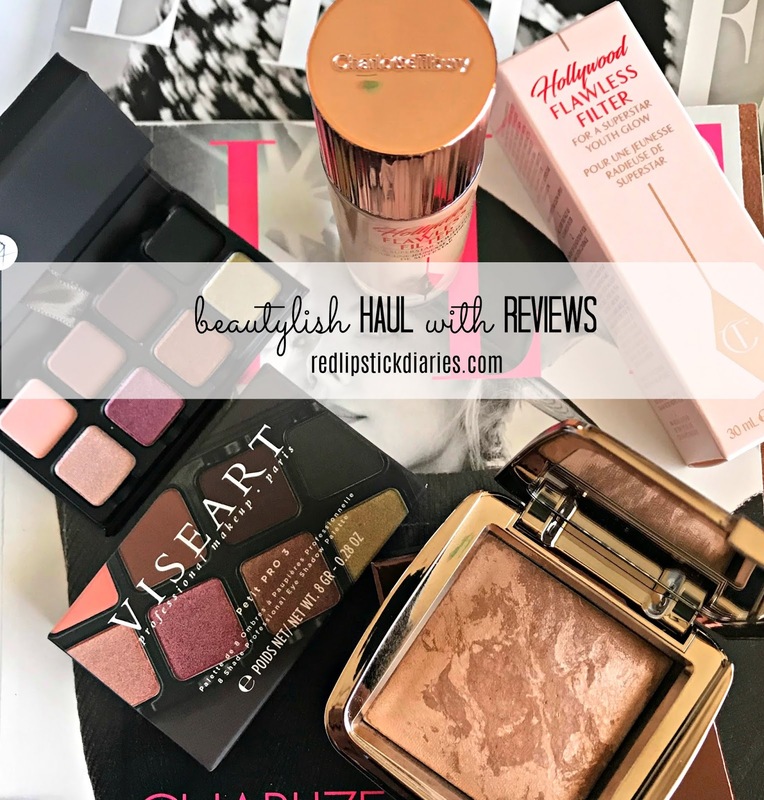 While the Hourglass Ambient Lighting Bronzer does contain a fair amount of product, the price is a hard pill to swallow. Let me preface my thoughts on this by assuring you that the price did not affect my thoughts on this product, while it did affect my decision to keep it or not. How is that even possible? This is how. 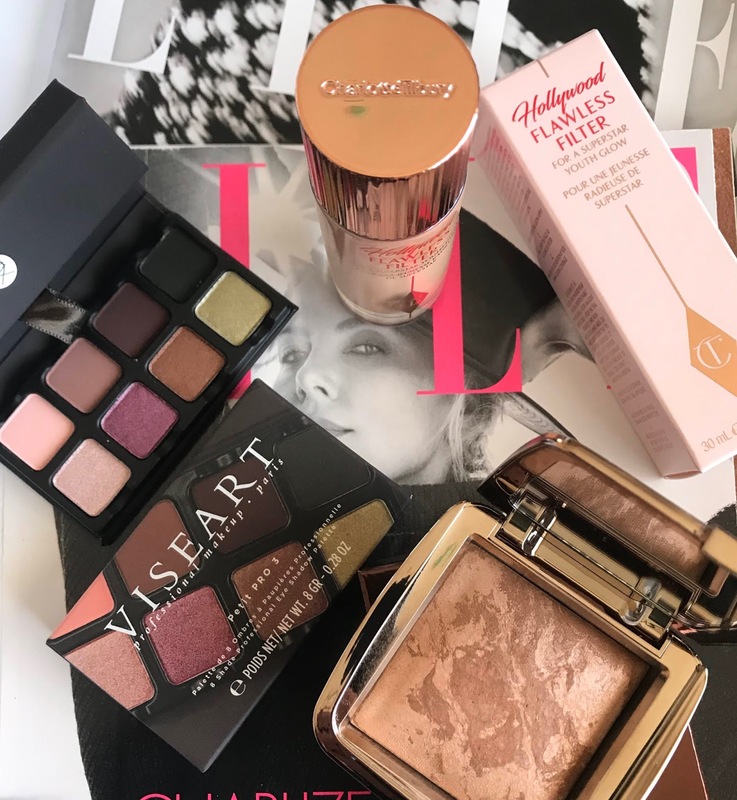 I went into the Hourglass Ambient Lighting Bronzer with arms wide open, I was beyond excited for it from the minute my box arrived. And, even though I tend to sit on products for months, I started using this from the first morning after getting it. And, I was in love! Oh, what a dreamy formula! But there was no way that I could miss how orange it looked on my skin, even though I loved how seamlessly it blended and applied. I noticed it from that first day and every other day I wore this bronzer. I thought I could keep it anyway until one day I took a good look in my car mirror and could not deny that it wasn't doing me any favors. The tone was just too warm and gave me an orange look versus the bronzy look I was looking for. Is the Hourglass Ambient Lighting Bronzer a truly beautiful product that has one of the most amazing formulas ever? YES! Did the tone suit my skintone? NOPE. Was it worth it for me to keep this $50 bronzer even though it didn't look good on me. No. And, there you go. 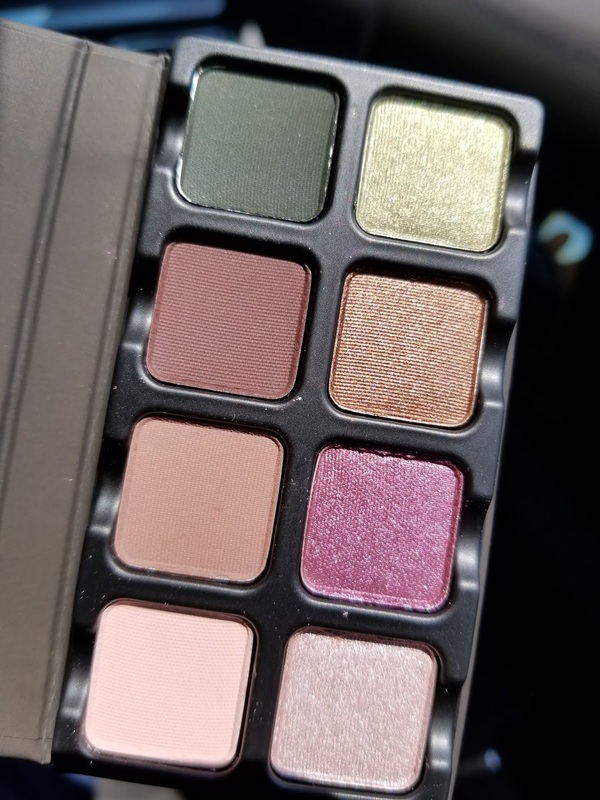 I have sent it back to Beautylish but not without hopes that one day Hourglass expands the shade range to include some more neutral, cooler shades. In the meantime I still think this product is worth the hype, the price and would def recommend it as long as you find a shade that works for you. And that was the my very small but quite exciting Beautylish haul. I am now looking forward to my next order, which I will be placing in July. *This post contains affiliate links which go directly to supporting this blog. Thanks in advance if you decide to do your shopping through my links!